If you're trying to lose weight, reducing your sodium intake may directly and indirectly help you succeed. Your body needs sodium to control blood pressure and blood volume and maintain proper functioning of your nerves and muscles. Sodium is a natural component of a variety of foods, but it's added to many high-calorie, processed foods, too. According to the 2010 U.S. Dietary Guidelines, sodium consumption is positively associated with calorie consumption. Salt also causes you to retain water, which tips the scales upward. By reducing your sodium intake, you may lose weight and also reap other health benefits. The 2010 U.S. Dietary Guidelines set the adequate intake limits of sodium at 1,500 milligrams per day for people 9 to 50 years of age. Younger children need between 1,000 and 1,200 milligrams, and it's recommended that older adults consume 1,200 milligrams per day because they require fewer daily calories. The tolerable upper intake, which is the highest safe sodium intake unlikely to cause health problems, is set at 2,300 milligrams, or 1 teaspoon of table salt, a day. African-Americans and individuals with high blood pressure, kidney disease and diabetes should reduce their sodium intake even further to 1,500 milligrams per day. Most individuals consume more sodium than they need, so you don't generally need to worry about getting enough salt. Sodium does not contain any calories or fat, but it will cause you to retain water. After eating salty foods or drinks, your body removes water from your cells into your bloodstream. Your blood volume increases, your cells become dehydrated, and you feel thirsty. Fluid intake restores the balance between sodium and water in your body. According to Dr. Jack Osman of Towson University, an additional 1 gram of salt, which contains 400 milligrams of sodium, may cause a temporary weight gain of 2 pounds. Over a seven-day period, you can theoretically lose about 3 pounds if you cut your sodium intake to 1,000 to 1,500 milligrams a day, according to The Athlete's Guide to Making Weight by Michele Macedonio and Marie Dunford. You are losing only water weight, however, not fat, so sodium restriction is not a practical, lasting strategy for losing body weight. Salt intake is associated with obesity, but probably because of the extra calories consumed through salty foods. A study published in 2014 in Nutrition Hospitality examined the eating habits of 418 adults and discovered a positive association between body mass index, sodium consumption and calorie consumption. The high-sodium group ate more meat, processed foods and snacks. Processed meats, such as bacon, hot dogs and lunch meats, are high in sodium as are many pre-packaged snack foods, including potato chips. These foods are also high in fat and empty calories. Most fast food meals contain over 500 milligrams of sodium, and frozen dinners can contain up to 1,500 milligrams. If you reduce your intake of these additive-laden foods and replace them with whole foods naturally low in sodium, such as fruits, vegetables and fresh meats, you will be taking in not only less sodium, but fewer calories as well. Eating more low-calorie, nutrient-dense foods will help you lose weight. There are other health-related reasons to keep your sodium consumption in the recommended range. According to the American Heart Association, the average American takes in more than double the daily recommended amount of sodium. Your kidneys sense extra sodium in your body and will excrete it through your urine when enough fluids are available. Due to individual differences or kidney problems, you body might not excrete additional sodium. The extra sodium attracts water into your bloodstream, which increases your blood volume and blood pressure. High blood pressure can injure your blood vessel walls, allowing more plaque to accumulate in your arteries and reducing blood flow. High blood pressure also puts you at risk for heart disease, stroke and kidney failure. To reduce sodium in your diet, steer clear of prepackaged, processed and prepared foods. The American Heart Association lists bread, pizza, soup, cold cuts, poultry and sandwiches as common offenders adding salt to your diet. Check the Nutrition Facts Label for these products and opt for the ones with the least amount of sodium. 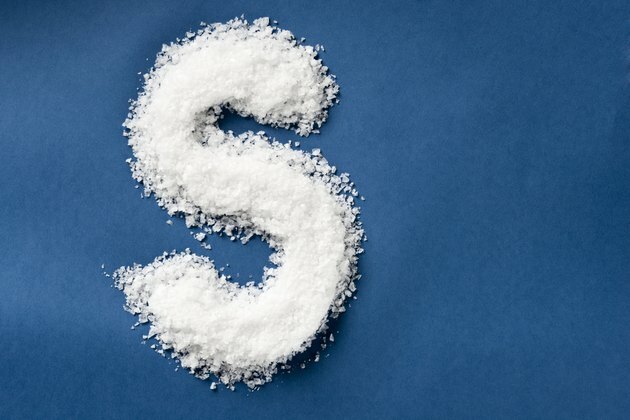 A low-sodium food contains 5 percent or less of the percent daily value of this nutrient. A percent daily value of 20 is considered a high-sodium food. Other common dietary sources of sodium include cheese, nuts, salted snacks, frozen dinners, condiments, pickles and olives and seasoned salts. When cooking, season your meals with herbs and spices rather than salt. Opt for fresh, lean meats and fresh fruits and vegetables and choose low-salt or no-salt nuts, canned foods and broths. Rinse canned vegetables and beans in water and opt for dried beans whenever possible. American Heart Association: Why Should I Limit Sodium?